Jessica Pellegrini of Fattoria Del Pino is a rising star in Montalcino. Her winery was born in the year 2000, two years after her father Nerio purchased 7 hectares of land in the Montosoli cru. 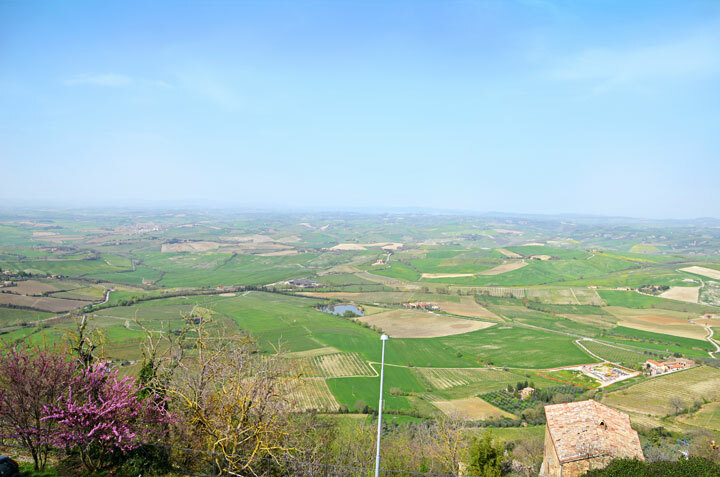 North of Montalcino, Jessica describes her location as “the ocean side.” It is here where you find Altesini, Le Chiuse and many other legends of Brunello. Nerio purchased the property as an investment in 1998, and it took a few years for Jessica to convince him to turn this land into their own winery! 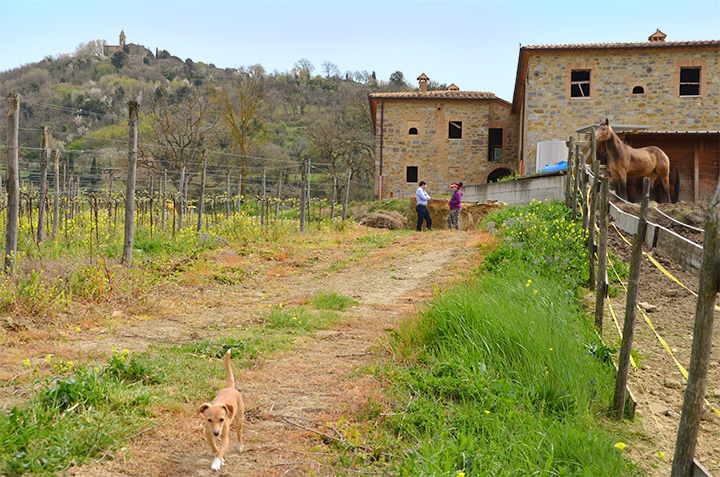 From there they began planting Sangiovese, and in 2010, Nerio (a builder by trade) built a cellar for Jessica to produce her wines in. The cellar is beautiful, but completely bare bones, just as Jessica likes it. There is no tasting room, simply a table where you can stand and enjoy her world class wines. Vines were planted in 2000, and in the initial years, Jessica sold her grapes and studied how to best cultivate Sangiovese. She did not come from the world of wine making, and thus had to learn from her own experiences. 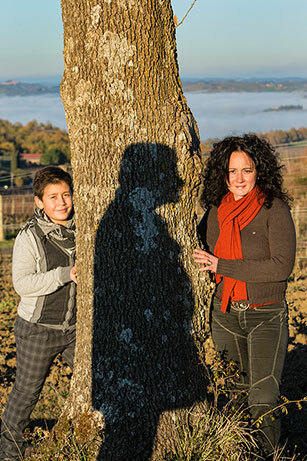 She believes that these ten years were particularly important in influencing and training her to produce natural wines. Jessica was able to grow with her young vineyard and “understand the needs of her plants” as she described it. A visit to the winery brings this notion home, where you see real biodiversity on a property lined with multiple tree species and vines enriched by sovescio, or in English, plants grown between rows of vines to enrich the soil. Even her horses, Vilma and Blu, live on the property, and their manure is used as a natural fertilizer. Jessica and her dog Safira seem to spend every waking moment together on her seven hectares of land. So much so, that convincing Jessica to leave her vines and Safira behind to join us for lunch in Montalcino has always proven difficult. In 2010 she finally produced her first vintage. She had the good fortune of producing her first bottling during the vintage of the century, but it is evident that this was no stroke of luck. 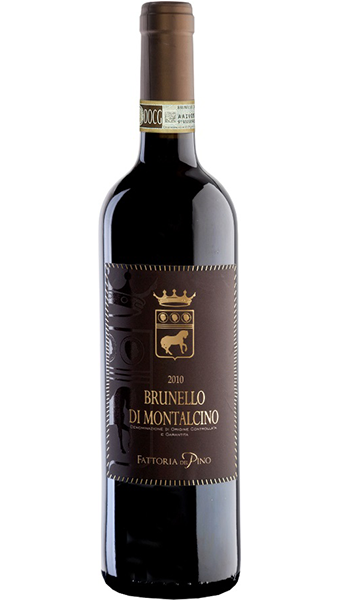 Her 2011, which we are currently working with, is truly exquisite and shows the more elegant style of Brunello that Montosoli is famous for. Jessica bottles completely by hand, another reason why she never leaves the property. Her wines will ferment spontaneously under a controlled temperature (the only time she is controlling the temperature during the process) and she has chosen large Slovenian oak as her vessel of choice for her Sangiovese. In the end, her wines are unfiltered, but she eventually racks off the lees after fermentation under a full moon to ensure the wine is clear and clean. She does not believe in temperature control in the winery (aside from the fermentation) and believes that the wine matures with the cycles of the seasons. If it suffers a bit in the cellar, Jessica feels that it is better to suffer then instead of in the bottle when travelling to its destination. Before delving into the wine, let’s circle back to the terroir that makes what Jessica does possible. Montosoli is a hill North of Montalcino that rises to about 300 meters, with Jessica’s plantings being located just south of the apex. The soil composition is of silty clays, marls and limestone. This is very well draining soils that helps produce a more elegant style of wine. You also have the aforementioned ocean influence, with winds arriving from the ocean about 50 miles away. Even without much experience, Jessica was quick to understand that both the terroir of Montosoli and her style of winemaking would be crucial in making her wines standout in the land of Brunello di Montalcino. 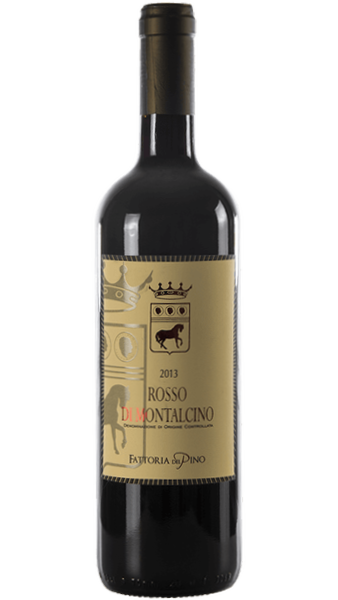 Jessica’s Rosso di Montalcino has structure and surprising backbone while being extremely fresh and floral. We love this wine for its incredible drinkability an elegance that we rarely see from Sangiovese anymore. Jessica’s versatile Rosso has the ability to pair with a multitude of dishes. The only thing I would caution against is too much spice that would clash with the wine’s tannic structure, but you could consider anything from very flavorful fish to hearty pastas, poultry and grilled meats. The wine ferments spontaneously with frequent punching down by hand in order to extract more tannin. In total the fermentation takes about 15 days. From here the wine is raked off the lees and put into stainless steel to rest. It will then spend 8 months in large 50HL oak barrels. Like any great bottle of wine, this is an adventure from start to finish. The wine needs time breath as it is a bit tight out front with tart fruit, floral notes, and hints of orange blossom. Give the wine time and it truly opens up. Again, this style is not that overly intense and tannic Sangiovese, so please don’t expect that. Instead, it is elegant and all about finesse. Flavorful pasta dishes, game and fowl. The wine ferments spontaneously with frequent punching down by hand in order to extract more tannin. In total the fermentation takes about 20-25 days, as Jessica aims for more extraction here. From there, the wine will be racked off the lees and placed in stainless steel for one year, where it will settle. 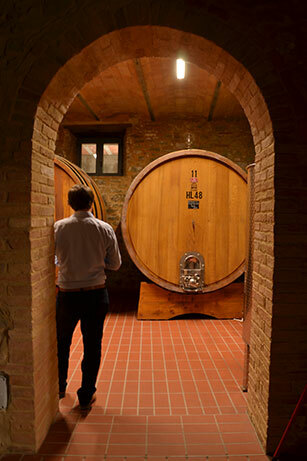 The wine will then spend 48 months in 50HL Slovanian oak barrels.